First thing you do before actually popping the big question is a lot of research. You read a lot and browse through hundreds of proposal photos on the Internet. 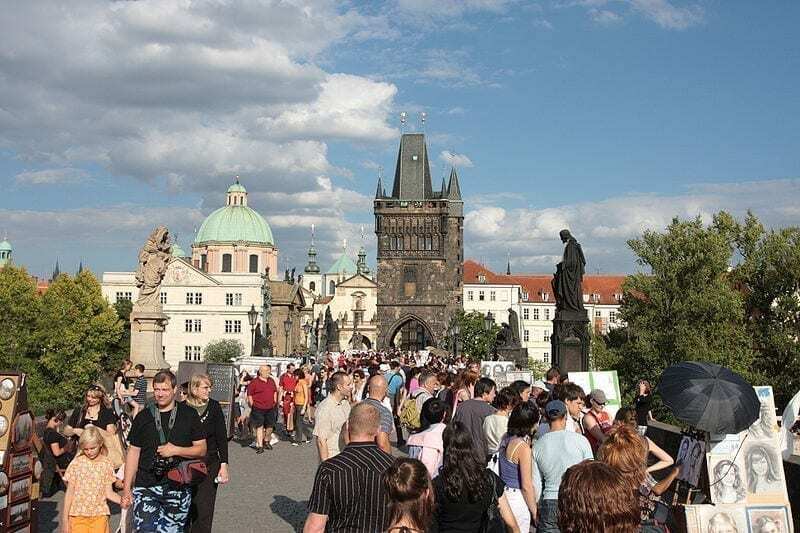 Sooner or later you have a picture in your head: Charles Bridge, a violinist, lots of rose petals around, blah blah blah… The only thing you didn’t realize is that most of those photos you saw have nothing to do with reality. Almost all of them are staged. So, here’s something to help you with your Prague proposal ideas. Probably number one of all Prague proposal ideas is the Charles Bridge proposal. Literally the worst idea ever! Unless, of course, you want to propose at 4 am when all the tourists are hungover and asleep. Your Charles Bridge proposal is going to be a disaster with people almost bumping into you while you’re producing the ring. A proposal is a very intimate event. Your girl has probably been dreaming about it since she was 13. Some quiet place, candles, moonlight, a guy standing on one knee, telling her how much he loves her. The last thing on her mind was standing in the middle of a crowd and being the subject of people taking photos of. I know it looks pretty cool on these Internet photos, but the reality is going to be a bit different. So, unless you plan to do that for a show – please forget about the Charles Bridge proposal. Another case of the worst Prague proposal ideas. Why so many guys love the thought of a violinist playing something while they propose is beyond me. So, ok, you cancel the Charles Bridge proposal idea and go with my plan to propose at a secluded location in a park. But you need the musician and we hire him. You arrive to the spot, and while you get on one knee all of your girlfriend’s attention is focused on some unfamiliar dude standing next to you playing his violin. So, instead of giving you her full attention she feels uncomfortable with someone she does not know standing there. Believe me, you don’t need this third wheel. Every single one of my clients who made that mistake agree that it was just a waste of money, because they had to send the violinist away 5 minutes into their event. 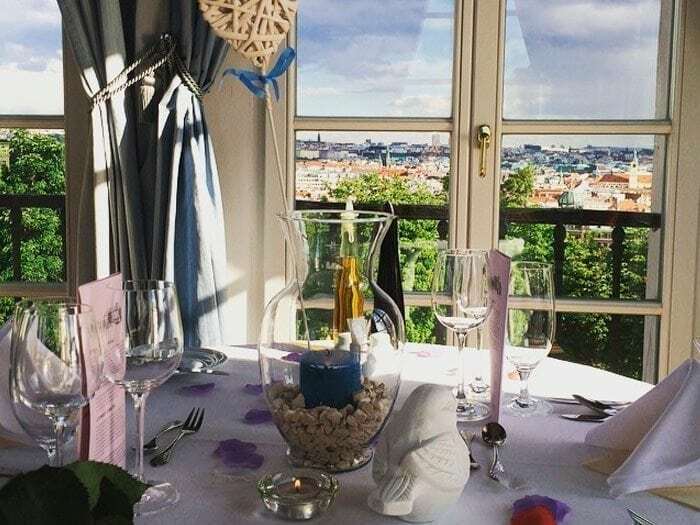 Browsing through those Prague proposal ideas you might have seen photos with rose petals covering the proposal location. Sometimes they’re just scattered around, sometimes in a form of a heart… Three words: WE ARE OUTDOORS. The slightest wind blows them all away. This is why I use chrysanthemums blossoms. They are simply heavier. And not as cliche as rose petals. Probably number two out of all Prague proposal ideas. For some reason guys believe a Castle proposal is the most romantic thing ever. First of all, Prague Castle is a governmental building, and is not available to the public. The castle proposal photos you might have seen on the Internet were taken at the Letna Mansion, a small privately owned castle and a popular wedding location. There’s a small restaurant there, offering an option to have a private dinner at their tower room. Not really that romantic with a beer garden underneath, but for those of you willing to spend a bit more – a good castle proposal location.